Last Digi Sale at Whimsy! Just to let you know ALL my digi's are on sale for 1 US dollar each right now at Whimsy! The store closes tonight (New Year's Eve Dec 31) at 6PM EST, so get them while you can! Congratulations Heather, pop me an email and I'll make sure you get your digi images!! Friendship Hop for Simmone! Prize Alert!! 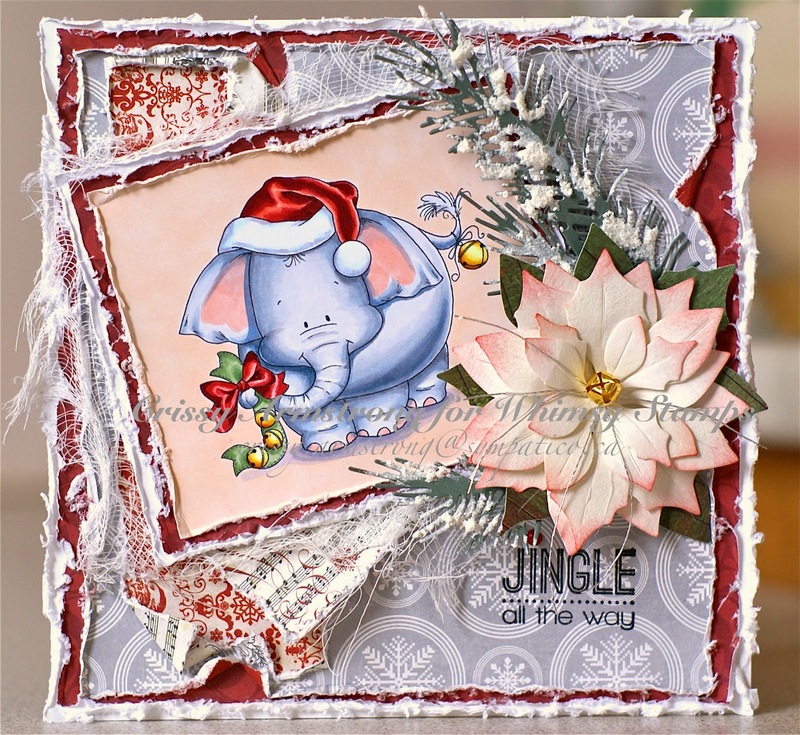 Edited to add: The blog hop is on until Monday Dec 22 at noon EST. 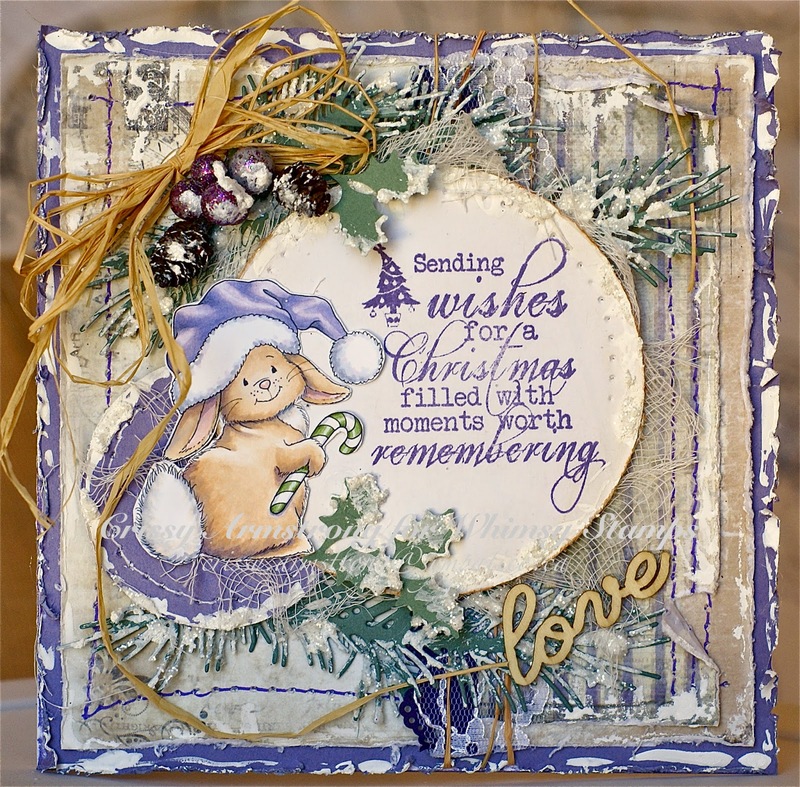 To thank you for taking time out of this busy season just to do this hop with us, I'll be offering up three digi's (winner's choice) from my digital collection of images at Whimsy Stamps to one commentor. All you have to do to be eligible is leave a comment on this post. Denise has a prize handy too, so don't forget to visit the last stop as well! 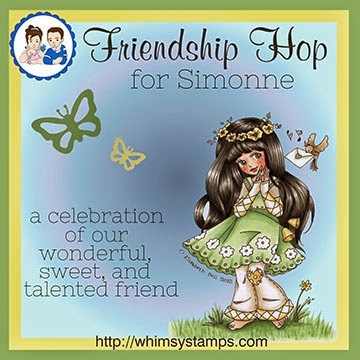 Today the Whimsy DT members (plus Yours Truly) are hosting a friendship hop in honor of a special member of the Whimsy Stamps family, Simonne Clay. 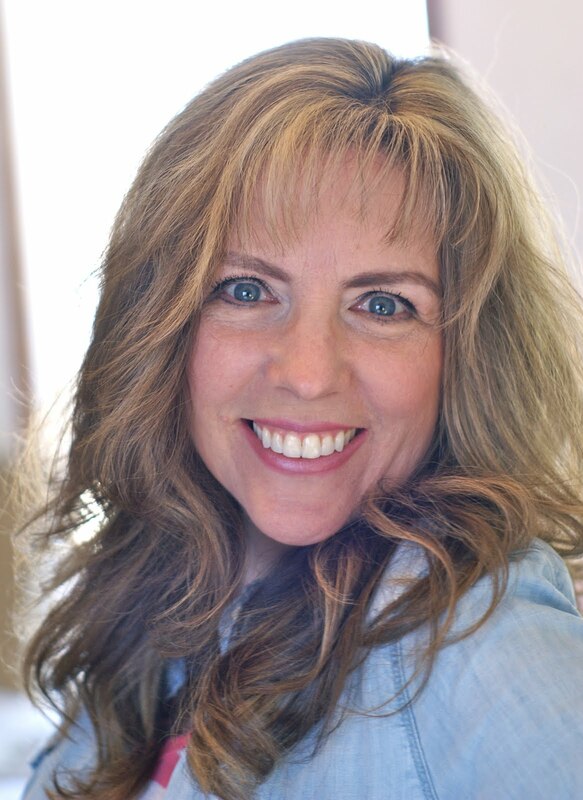 Simonne has been a fixture here at Whimsy for many years and we all just wanted to show our appreciation for all that she does for each of us and for sharing her amazing talent as an illustrator. Simmone has gone above and beyond to show support for Whimsy and to help out fellow members of the Whimsy team. Her presence will be missed by many of us here at Whimsy, but we wish her all the best in her new ventures. Thank you Simmone, for brightening up my life personally and for giving so much to our Whimsy Team! I will miss you! I'll be sending this card to Simmone. I used, "Special Delivery Pup", one of my older rubber images. 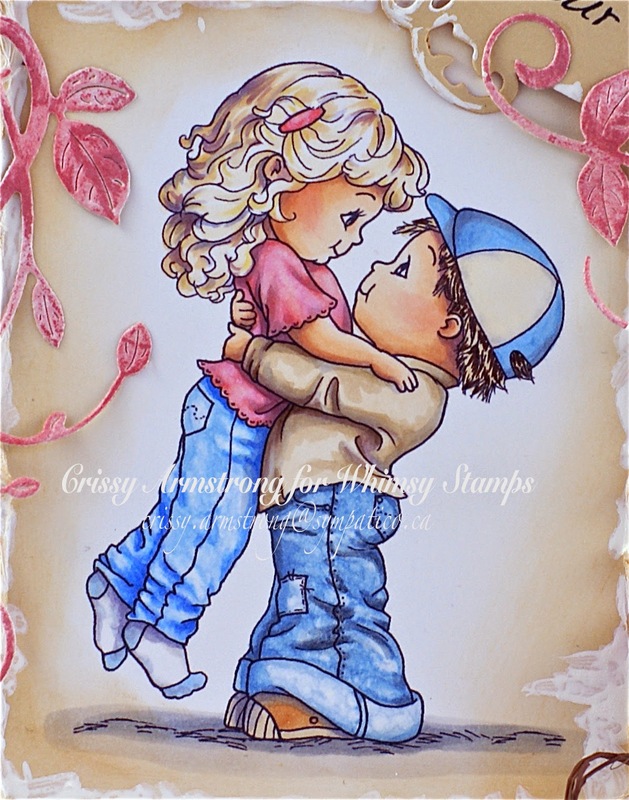 I stamped it on water colour paper and painted it with water colour paints. Die cuts are "Elegant Flourishes". Sentiments also from Whimsy. The heart is embossed but it was a "repurposed" piece from a store-bought card! I thought it went nicely with the rest of the card. Had to refrain from any sort of embellishing that would fatten up this card as it has to fly overseas. So no pearls, flowers, lace, pop-ups, charms or distressed edges. I kept all the embellishing flat. I'm hoping it works, even without all the extras!! 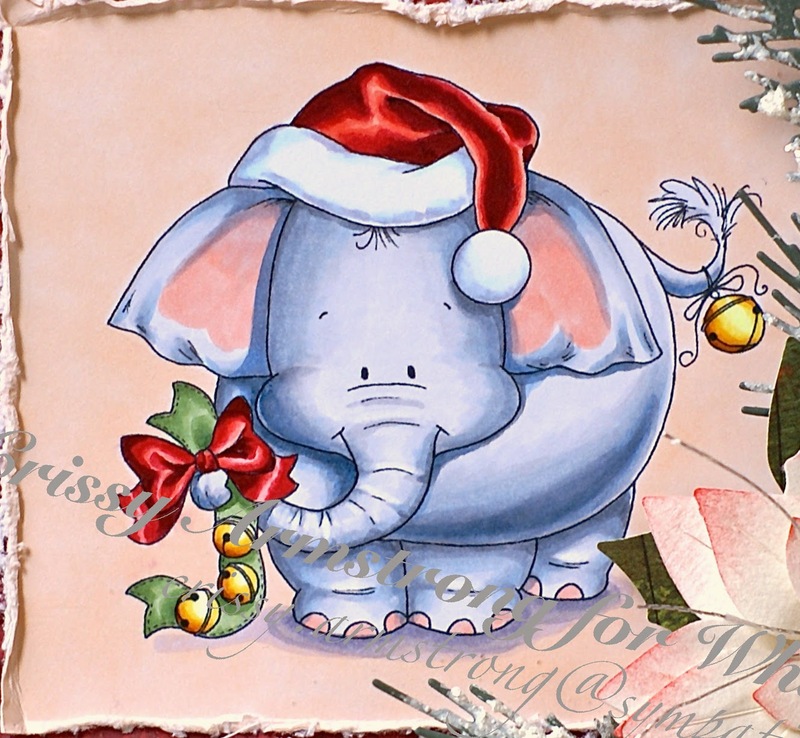 Another one in my Jungle Bells series of images, this one being "Jungle Bells Two - Elephant" found at Whimsy HERE. For a complete Copic list, please refer to THIS POST where I have used the same image on another card - both are originals, I just used identical colours. 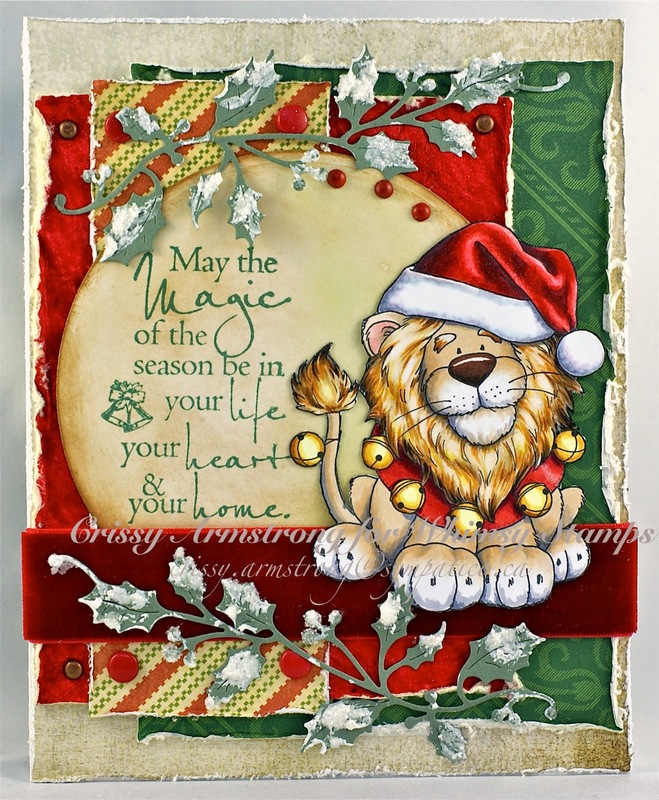 I'd like to enter this card into the current Whimsy Challenge running for the whole month of December. Theme is "Anything Goes." 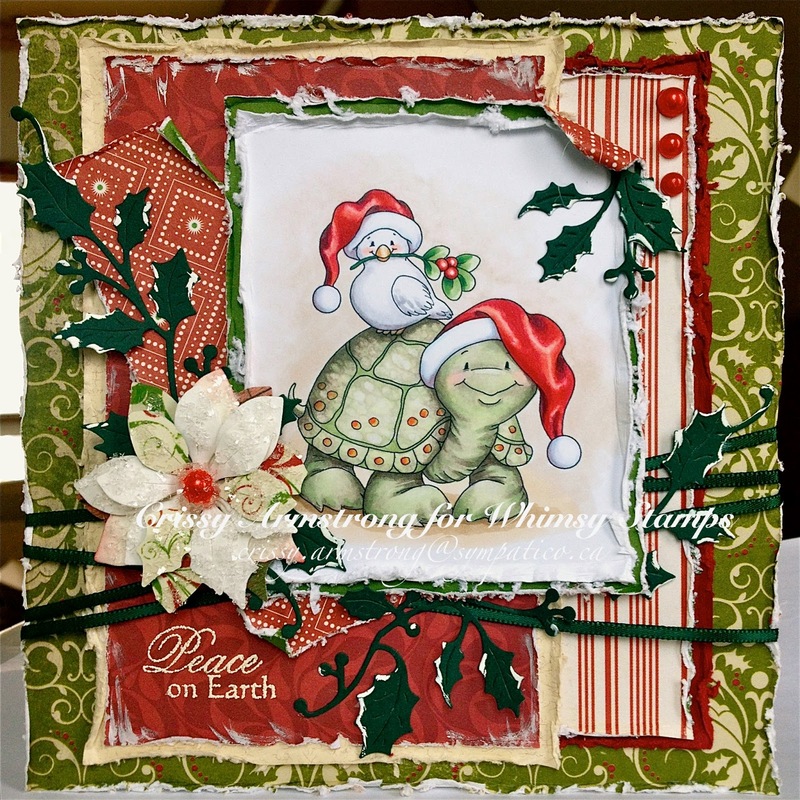 I used "Christmas Turtle and Dove" on this card. Been itchin to make a card with this image. Turtle: W1, 2, 3, 4, 5, 6, 7, R20 (cheek blush), YG61, YRo9 and YR23 on dots, YG93 on seams between plates. I wasn't quite happy with it, I wanted him to be more green, so I went over the whole thing ('cept the dots) with G20, 21, and then I liked the colour. I also used Zero blender for some texture. 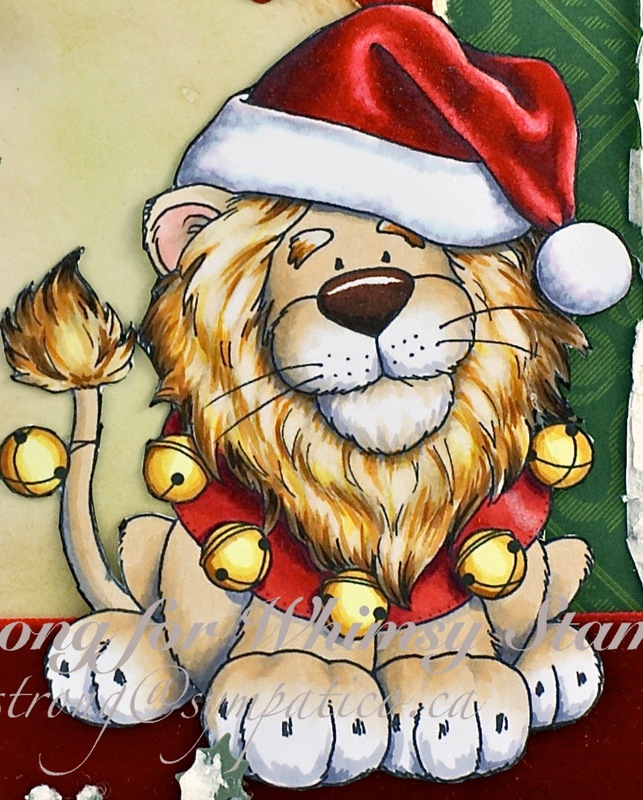 I did another card using Jungle Bells 1 Lion from my recent Christmas release in September. I will refer you to my September post for the Copic list if you need it, I used exactly the same colours. And if you are interested in the type of fake snow I use, it is called, "Snow Tex" by Deco Art. But I also add crushed glass for the sparkle because Snow Tex has nothing in it to make that sparkly snow look. I do love the texture it gives though. Hope you're being mightily blessed today! Hi Peeps! 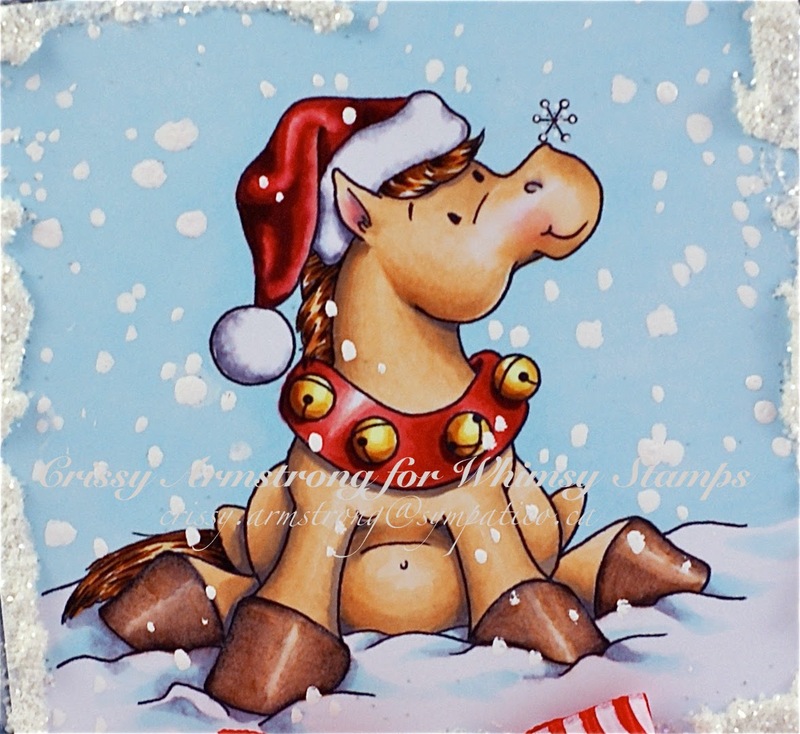 Another Christmas card to share with you today, using "Horsey Holidays," one of my digi's. The digi shop is closing at the end of Dec, and right now all my digi's are fifty percent off (except my dollar digi's). So stock up while you still can, cuz after December, they won't be available anywhere. I have to do one purple Christmas card every year for one of my daughters who loves and wants everything purple! It always presents a challenge to me, but I love my results this year. 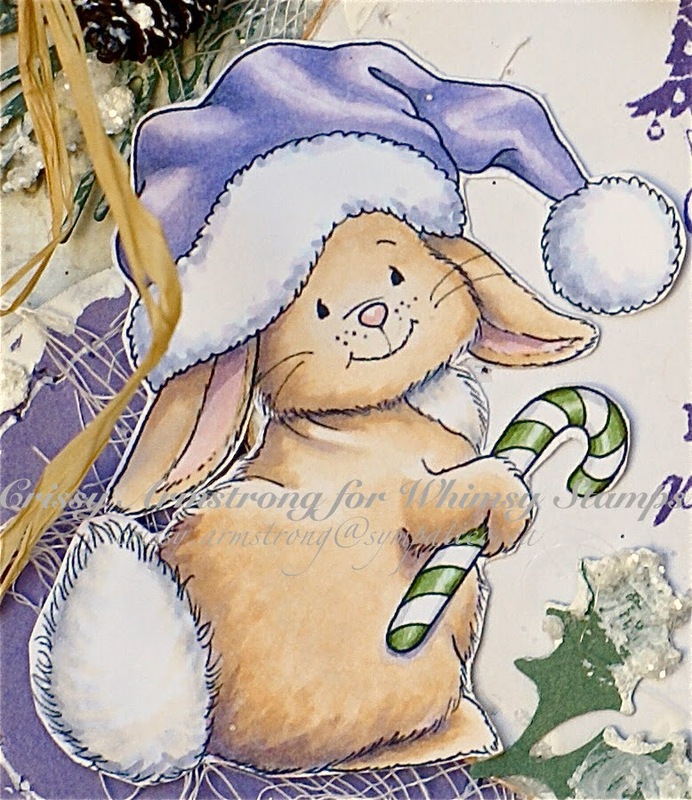 I used "2 Christmas Tails" and fussy cut the bunny, leaving the mouse out of the picture. I just wanted to simplify it somewhat because I knew I was going to be adding a lot of other "stuff" to the card. 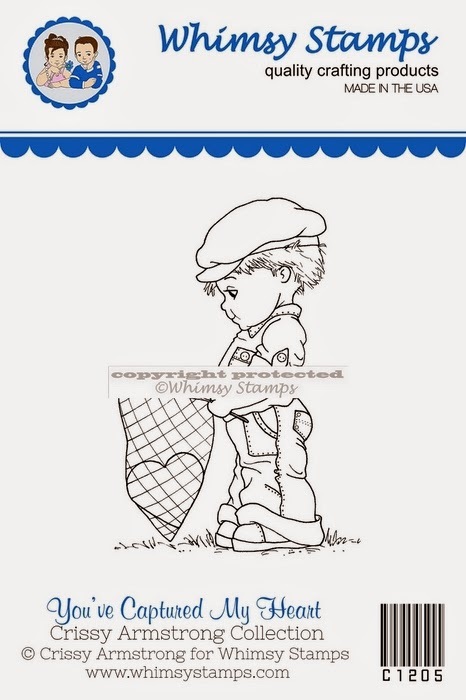 Forgot to jot down the greys on the hat and tail! From memory for the hat whites: BV20, V93, C1, 2, and for the fur whites, W0, 1, 2, V93, E50.... pretty sure! 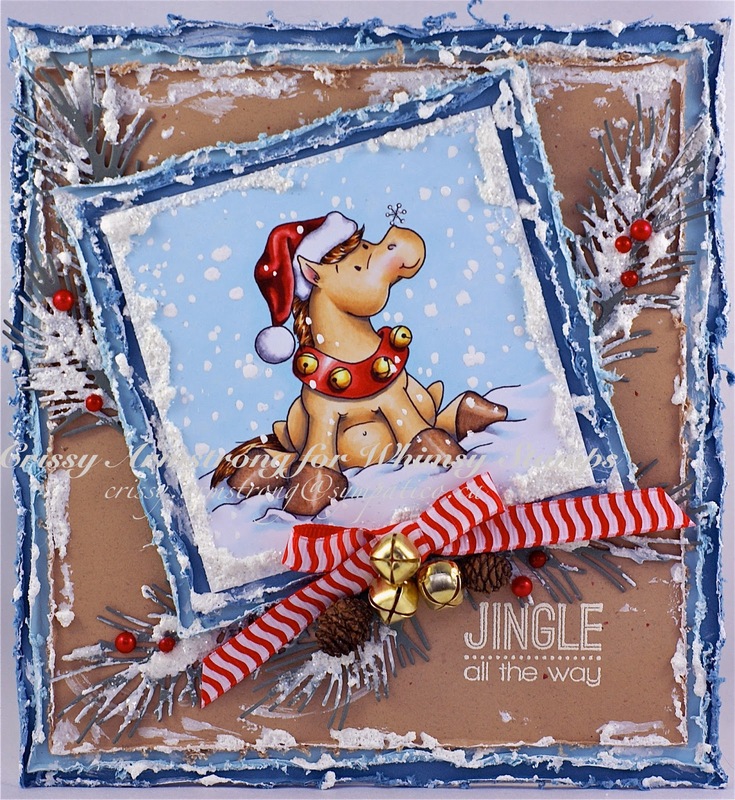 Whenever I put "snow" on a card, people ask me what I use, so click HERE if you want to see the product. After it dries (takes about half an hour to an hour, depending on how thickly you laid it down) I add dots of glue all over it and then coarse glitter so that it sparkles. It has no sparkle otherwise (and any of us who live in a snowy climate knows that snow sparkles!!). Recently, we have been alerted to new VAT tax laws in the European Union which would require us to charge, collect, and then pay tax on all digital products. 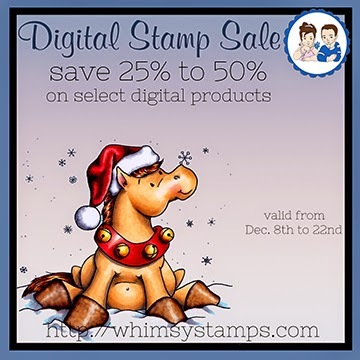 Due to this new law, Whimsy Stamps will no longer carry digital products as of January 1st, 2015. This month we will have various sales on digital stamps to allow customers to purchase now at great deals before we close those sections in our store. 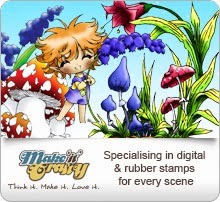 Thank you to all those who have purchased digital stamps over the years and supported our artists. The good news is that there will be some awesome final sales on the digi images, so you can at least stock up now before they close for good. Mine are all on sale right now for 50% off! The sale runs from today (Dec 8) thru til Dec 22. So stock up while the doors to the shop are still open! Thanks to all who supported my digital images through the years. You helped make it a fun venture. The inspiration for this image came from my son. He used to curl up in our tub chair and fall asleep just like this - when he was small enough to do so. Some of his sisters followed suit. I did manage to capture a few photos of these childhood events. Brings a warm feeling to remember such times! Thank you for looking and for reading if you did so! Take care and God Bless! PS Don't forget to look at the post below and enter into the draw for the 25$ gift cert. 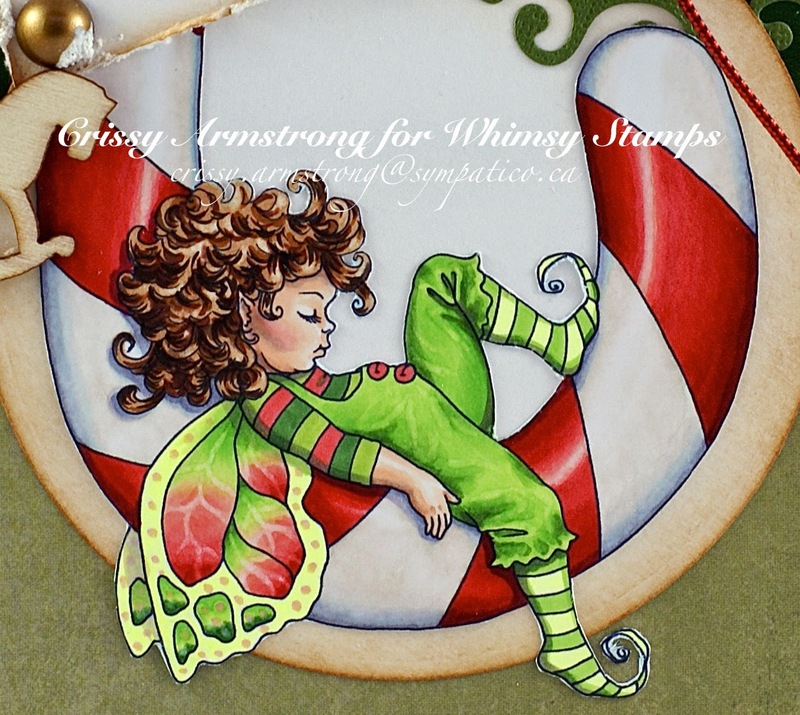 from Whimsy Stamps! Its closing Friday at noon, so get going if you read this on time!! New Release Blog Hop! 25$ Gift Cert. To Be Won!! 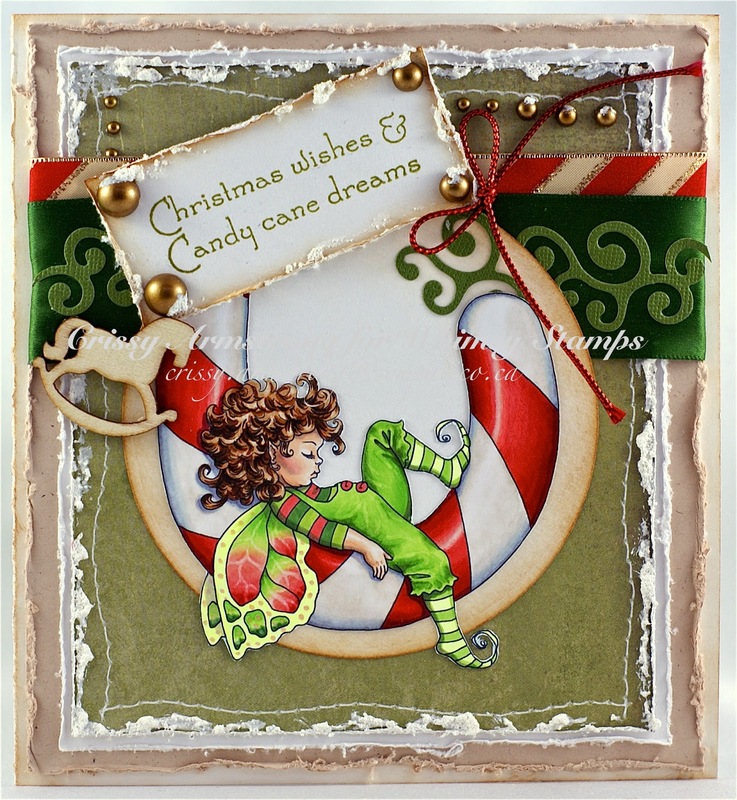 Welcome to the ... Whimsy Stamps December release BLOG HOP! 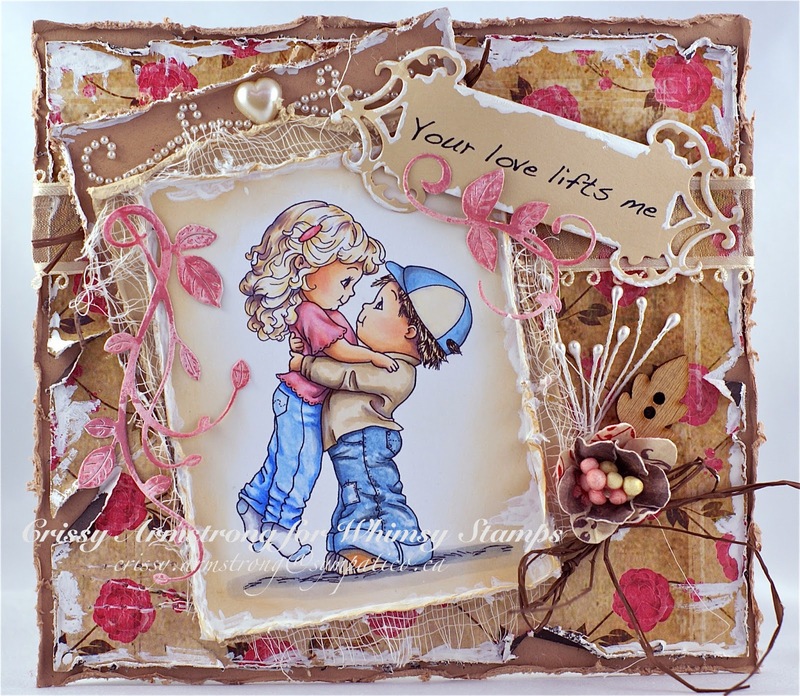 The Whimsy Stamps DT and GDT have been sharing some amazing creations made with the new stamps and dies over the last couple of days, and today we are celebrating their release with a GRAND BLOG HOP! The hop starts today (Wednesday December 3rd at 12.00PM noon ET) and ends on Friday December 5th at 12.00pm noon ET. 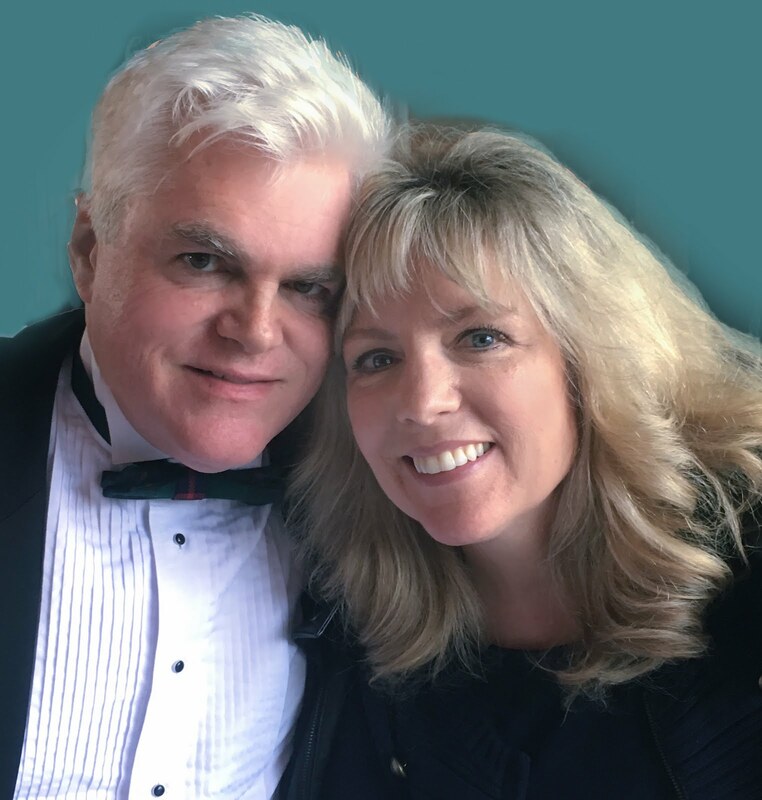 If you would like to hop along with us today, please CLICK HERE to start the hop at Louise's blog. 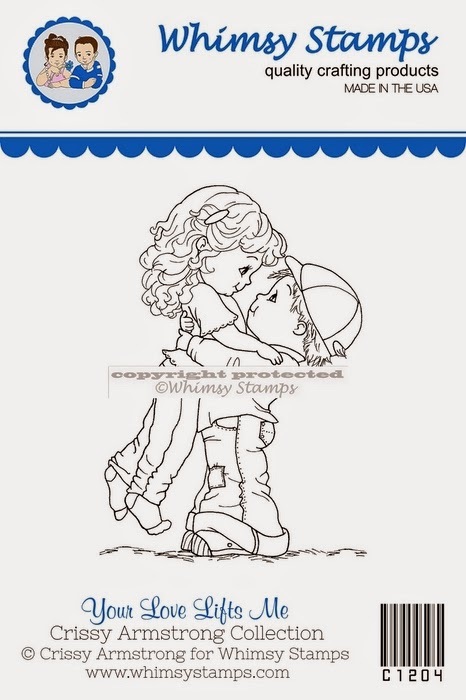 For today's project, I inked up my brand new, "Your Love Lifts Me" image, one of two I have created for this release. The other one is "You've Captured My Heart." 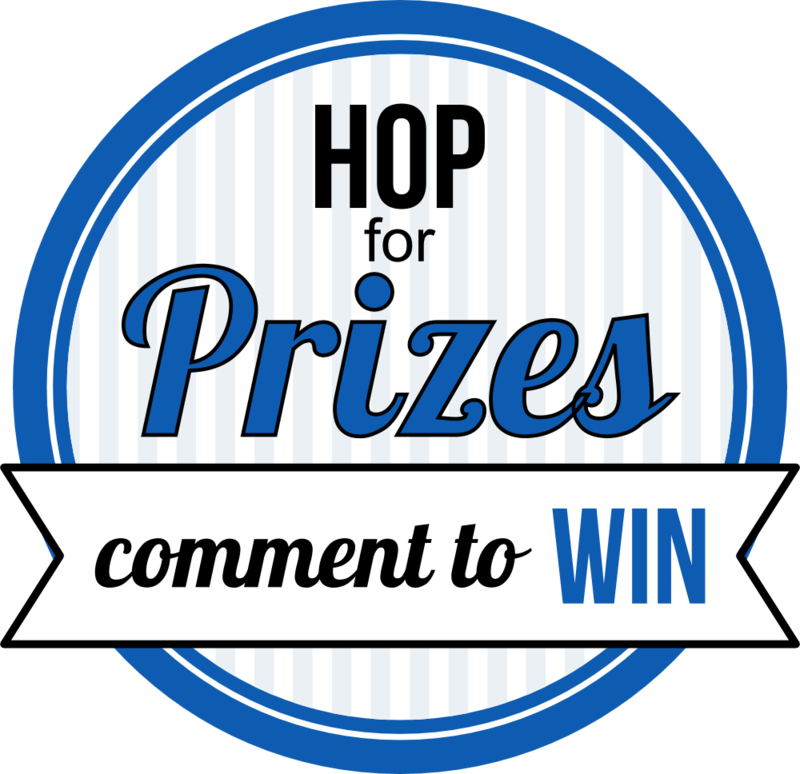 One lucky hopper will win a $25 gift certificate! To enter the draw, simply leave a comment on EVERY Design Team member's blog post from the list below by 12.00pm noon on Friday December 5th. Hi Peeps! How is it going with Christmas preparations? I have most of my cards done which is unusual for me this early in the game. Although it really helped that I started last January! This is actually my personal favourite card from this year's stash. 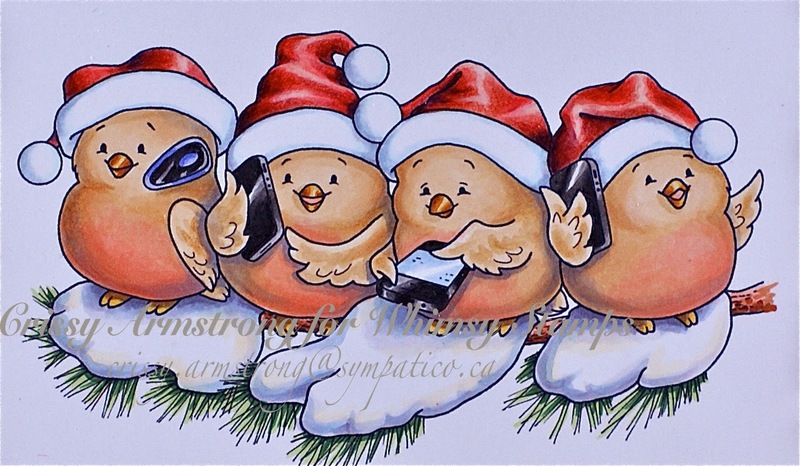 It is an image I did for Whimsy last year called, "Four Calling Birds" and it is also one of my fav. images I've created for them. One of the reasons I love it is because my husband came up with the idea, so it was a joint effort between us. That just makes it more special to me! I just giggled when he suggested I do four birds on cell phones. That does make them "calling birds" you know, heh-heh! 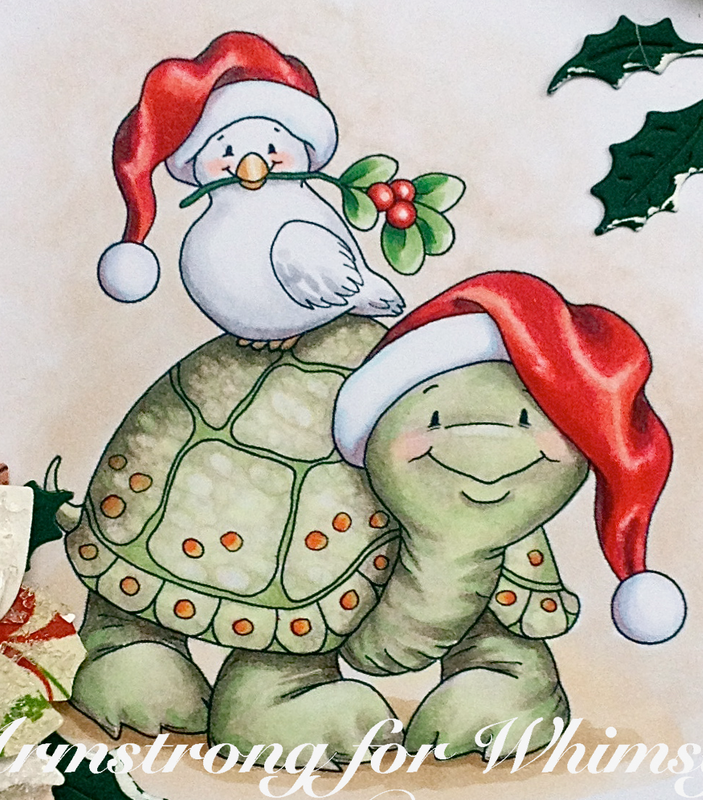 I also did a couple of other related images from the same Christmas carol, "ChristmasTurtle & Dove" and "Three French Hens." 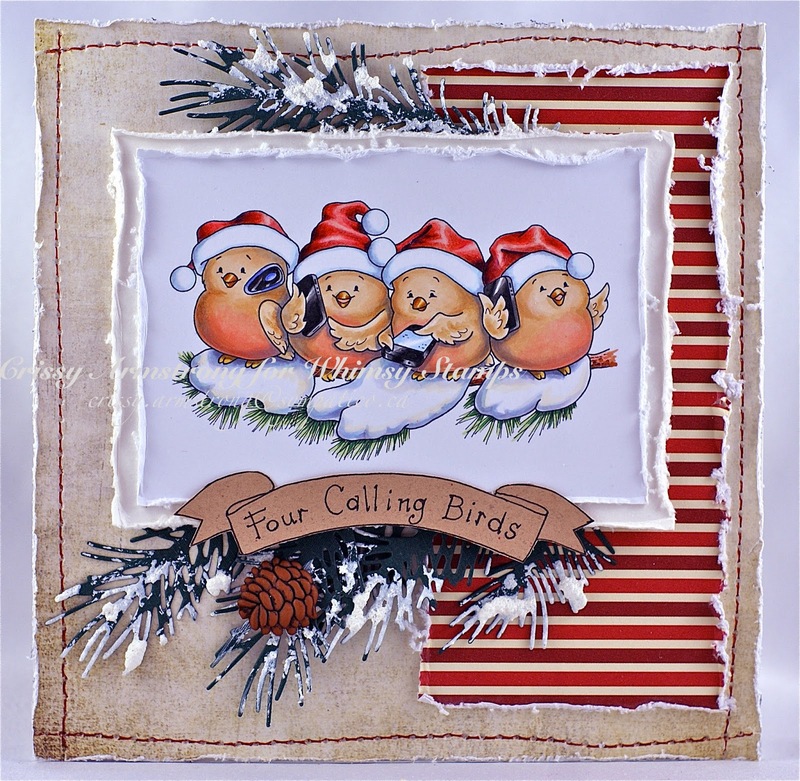 Maybe for next year I should do a partridge in a pear tree! Thanks for stopping by to have a look at my creation! 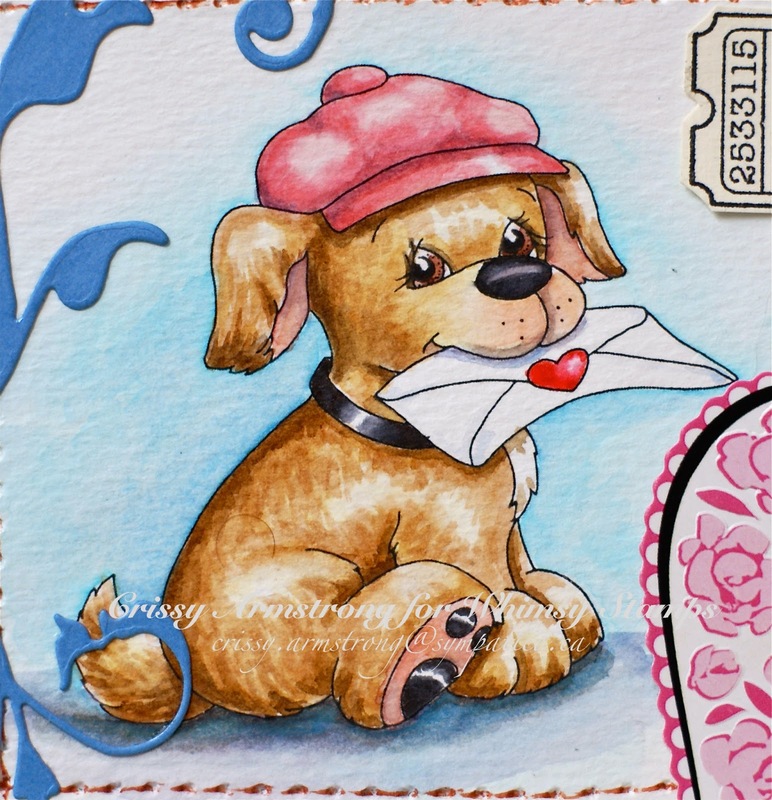 Come back tomorrow because there's a blog hop on with a chance to enter and win a 25$ gift certificate for Whimsy stamps! See you then!